Samuel studied architecture at the Bartlett, University College London. He graduated in 2005 and worked for Foster + Partners before joining Hopkins Architects in 2015. He became an Associate Partner in 2017 and an Associate Director in 2019. His extensive project experience includes work at DY Patil University in Mumbai, where Samuel was principal on the façade team from the design stages to construction. He then worked as Project Architect on the Canary Wharf Crossrail Station, where he was responsible for the delivery of the package for the complex and inventive roof. Following this, he moved to Washington, D.C. to oversee the construction of the CityCenterDC which was the largest residential development in North America at the time. Samuel then relocated in Cupertino, California to lead the onsite development of the Caffè Macs Alves project for Apple Inc. This building served as a prototype for the construction methods to be employed in the Apple Campus 2, with which he was also involved in façade development. In 2014, Samuel was appointed as project associate to manage a luxury villa development in Turkey for LVMH Moët Hennessy Louis Vuitton SE. Here, he was instrumental in developing construction methods with local craftsmen, integrating their process into modern digital fabrication techniques. Samuel has lead a number of pro bono charity projects including disaster shelters in Pakistan with Architects for Aid and insulated tents with in Mongolia with the Red Cross. 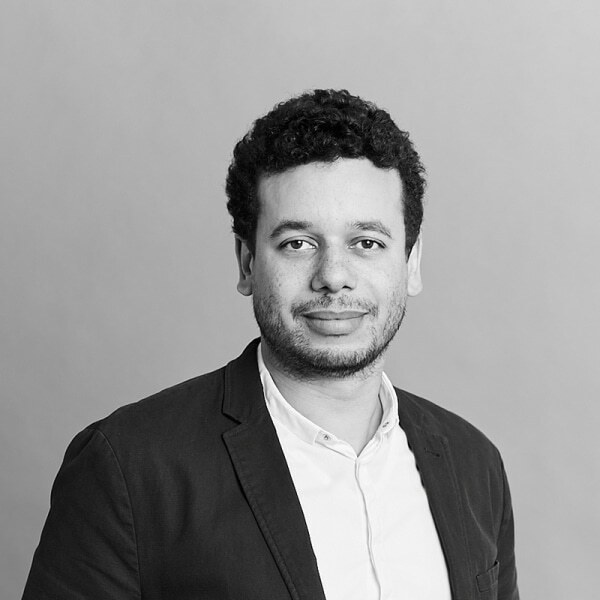 Since joining Hopkins, Samuel has been involved with our work at a major five star hotel in Mayfair, London where he has focussed on the development of the façade package.